We are going with Ink Brigade who use Gildan 5000 / Gildan 5000W for their t-shirts. Ink Brigade www.inkbrigade.com Carrie - carrie@inkbrigade.com $5.20 (mens), $5.35 (womens) We don't charge any screen or set up fees. We also offer free delivery to commercial addresses on orders $250+. $10 for home delivery. Gildan 5000/Gildan 5000: We offer 10% non-profit discounts, if your organization is a non-profit let me know. TURNAROUND TIME: Please note that we are currently looking at a 10-12 business day turnaround time from the time of finalized order, which means that we have final art, shirt size/color/style breakdown, mockups approved and payment received on invoice. Oregon Screen Impressions www.oregonscreen.com Zane Gunderson - ZaneG@oregonscreen.com $5.62 None (although there is an 'art fee' if they have to edit the logos Gildan 8000 I attached pricing for you on a Gildan 8000 which is a basic shirt, or a better fitting, softer feeling EI-LO 14555 ($6.24) which is a better shirt for not much extra cost. The price includes the various breaks, as well as a two color print + a poly base. Let me know what date you would need these by, but February 9th would not be an issue and I would prefer to get started sooner than later. 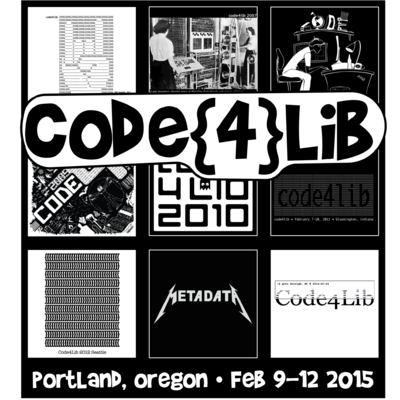 Please submit designs for the Code4Lib 2015 T-shirt. According to the recent poll, black is the preferred color, but we will also offer a dark green shirt (think hunter green) as an alternative. The screen-printers generally prefer vector art files (ai, .cdr, .eps & .pdf). If you need help converting your design, email Christina at cmh2166@columbia.edu. DESIGNS ARE DUE DECEMBER 1, 2014. 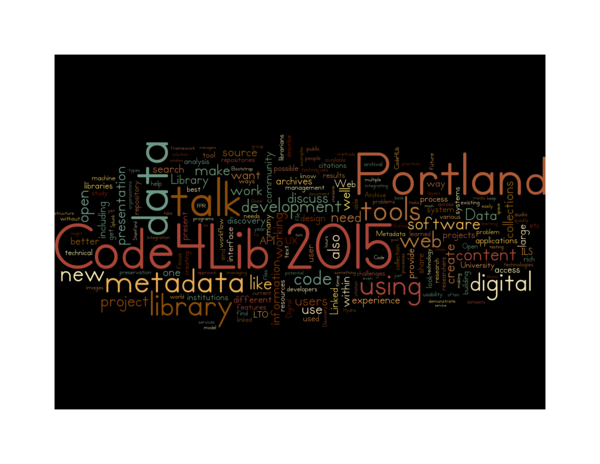 Here are the results from the Code4Lib 2015 Swag poll, if you're interested. 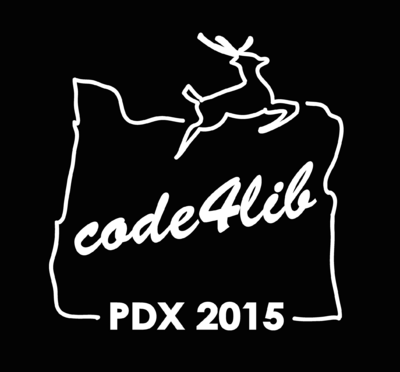 Post an image file of your print-ready proposal by editing this wiki page. You can host the image yourself or use the Upload file feature of the wiki. If your print-ready document is different from your displayed image, include a link to the print-ready file. Include your name and e-mail address with your proposal. If you want, you can add a line or two of explanatory text, color specifications, etc., which will be included with your design on the Dieboldatron. Place a horizontal rule (----) on a separate line after your submission. This is my awesome design. It'll win one of these years. 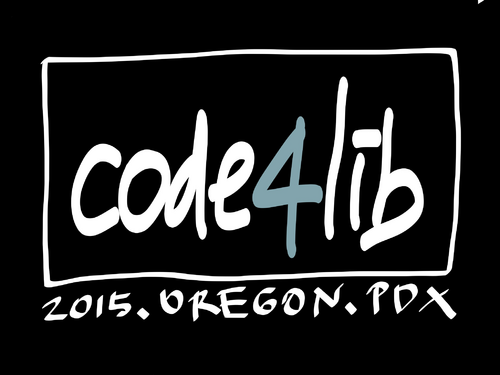 This is based on an iconic sign in downtown Portland (this design might require licensing costs, though: http://www.portlandoregon.gov/bibs/article/430664). This page was last modified on 12 January 2015, at 22:17.